Two years of preschool instead of one could greatly improve school readiness and long-term academic results for young children, new research shows. 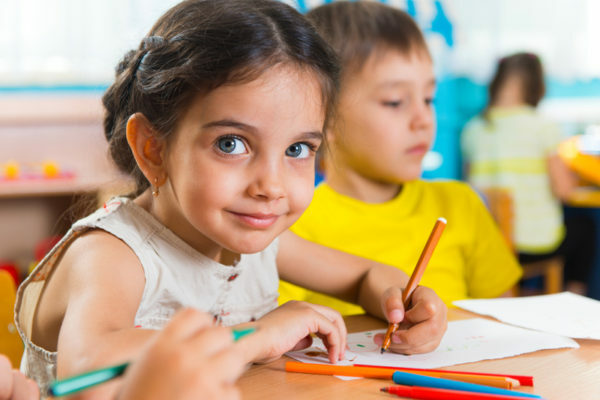 In a report published by The Conversation, Dr Fox says Australia introduced significant reform in 2008 by introducing a national preschool program available in the year before school to all children. The program provides all children, usually aged around four, with 15 hours of preschool that is delivered by a qualified early childhood teacher. But, Dr Fox says this program should now be extended to all three-year-olds to further improve long-term outcomes and provide an even playing field for children from all socio-economic backgrounds. “Nearly a quarter of Australian children start school without the foundations they need to take advantage of learning opportunities at school. And our school systems are struggling to help them catch up,” Dr Fox wrote. Dr Fox says educational outcomes have improved in other OECD countries that have extended their preschool programs. “We’ve looked across the international research literature. We’ve spoken to preschool teachers and child development experts in Australia and there’s an overwhelming consensus that two years of preschool gives children the best start,” Dr Fox told the ABC. Dr Fox Pointed to studies in the UK and US, which have shown children greatly benefit later in their education from attending at least two years of preschool in their early years. To introduce a second year of preschool, Dr Fox says the biggest challenges will be making sure the preschool available is of a high quality across the board so all three-year-olds have the best start. She says another challenge will be ensuring no child misses out because of financial or other constraints. “There is a direct correlation between how wealthy a child’s community is and their risk of developmental vulnerability,” Dr Fox wrote. “Children from low socio-economic status communities are more likely to experience developmental vulnerability – but half of all children who are developmentally vulnerable come from the top three fifths of the income distribution. Dr Fox told the ABC she believed this added reform could be achieved with a “modest investment”. “What we’ve suggested is that COAG commission a study into what kind of capacity exists already in our early education and care system and then look at what kinds of additional resources would be needed in terms of workforce and capital investment,” she says.